First it was Univision, then it was NBC. 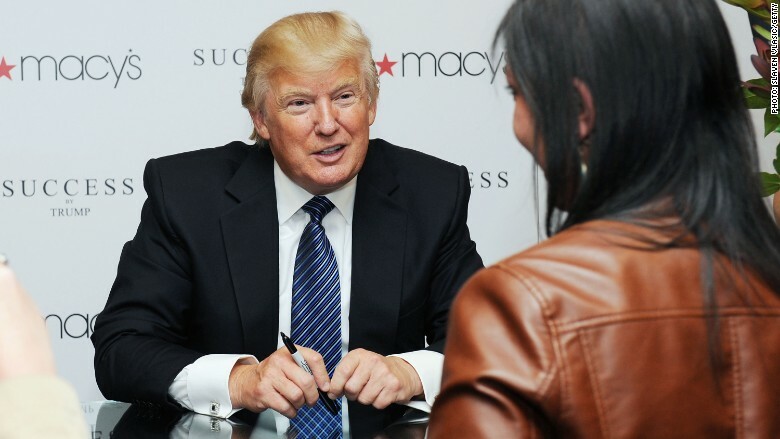 Could Macy's be next to cut ties with Donald Trump? Over 700,000 people have signed a MoveOn.org petition that asks Macy's CEO Terry J. Lundren to end the department store's business relationship with the outspoken developer. The petition is longstanding but has been updated in light of Trump's derogatory comments about Mexico and other business partners fleeing him. The petition says Macy's has "an even stronger relationship with Trump than NBC" and calls on the store to "follow Univision's and NBC's lead and finally dump Trump." The campaign, which was created by Angelo Carusone in November of 2012, is picking up steam with about 25,000 people signing the petition in the past day and an average of 590 new signatures coming per hour, according to Carusone. "Donald Trump does not reflect 'the magic of Macy's.' We urge you to sever ties with him," the petition reads. The famed department store sells Trump-branded clothing and fragrances such as the "Donald J. Trump" signature clothes collection and his fragrance for men called "Success." Trump has also has appeared in commercials for the store. "Macy's has a special deal with Donald Trump. Trump is their de facto spokesperson," the petition says. 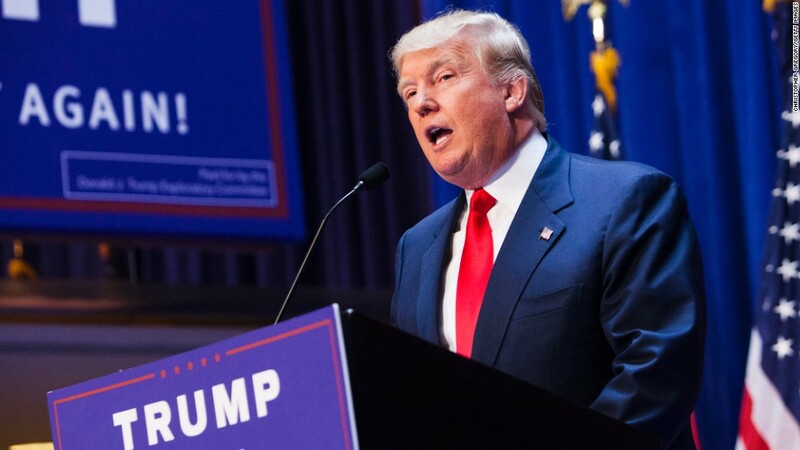 "Now that Trump is a presidential candidate, Macy's should not be supporting Trump like this. And furthermore, Macy's should not be celebrating Donald Trump." The petition also mentions Trump's stance on climate change and his involvement in questioning President Obama's birth certificate among the reasons for the company to distance itself from the GOP candidate. Since making offensive remarks about Mexican immigrants during his presidential announcement speech - referring to some as "rapists" -- Trump has found himself in the middle of a public firestorm. Last week, Univision canceled its telecast of the Miss USA pageant, an event partially owned by Trump, in protest. Then on Monday, NBC cut ties with Trump saying that the Miss USA and Miss Universe pageant will not air on the network. NBC also announced that Trump's NBC reality show, "The Apprentice," will continue on without him. Both Macy's and a spokesperson for Trump did not immediately respond to comment.